British Airways expands its services at Inverness – which makes it easier to avoid APD! British Airways has announced plans to increase its services from Inverness from the start of the Summer timetable in late March 2019. The number of weekday services will increase to two per day, and the number of weekend services will increase to three per day. This will drop down to 14 per week (losing one weekend service per day) during Winter 2019. More importantly, the flights will also be retimed to improve onward connections. An aircraft will now be parked at Inverness overnight to allow a late evening arrival and early morning departure. The reason this is interesting is that there is no Air Passenger Duty on flights departing from Inverness. This applies to all airports in the Highlands and Islands region where many flights operate with Government subsidy. This means that you can save £150+ per person in ‘taxes and charges’ if you book a long-haul Club World or First flight which is ticketed Inverness – London – XXXXXX. Is this worth it? I wouldn’t do it. That said, perhaps the me of 20 years ago would have done it. Inverness has no hotels connected to the airport and is pricey in summer so I doubt you’d want to stay overnight – and it would wipe out your saving – but you could certainly fly up on a one-way Reward Flight Saver redemption (£17.50 + 4,500 Avios) and then come back. If you live near Heathrow you could book your long haul flight for the following day as long as it departed within 24 hours of the Inverness service landing in London. Japanese airline ANA has announced a new daily service from Vienna to Tokyo. Anika reviewed the ANA business class service from London to Tokyo and was impressed – see here. You might not know that ANA is a Virgin Flying Club partner. Full details are on the Virgin Atlantic website here. I would imagine that there will be plenty of reward space on this new service, at least whilst it builds up demand, and it would not be a bad way of using your Virgin Flying Club miles. A return Business Class flight from Europe to Japan on ANA is only 95,000 Virgin Flying Club miles – a steal compared to 180,000 peak day Avios! You can only book return flights on ANA using Virgin Flying Club miles. You can find out more on the ANA website here. ‘The Unbound Collection’ is Hyatt’s attempt to copy Marriott’s Autograph or Hilton’s Curio Collection. It is a brand that luxury independent hotels can join which does not force them to ‘Hyatt-ise’ their property. Hotels can continue to use whatever toiletries they want, whatever bedding they want etc whilst still benefiting from Hyatt’s marketing clout and the loyalty of World of Hyatt members. This week, Hyatt announced that Hotel Sofia in Barcelona will join ‘The Unbound Collection’ in January. This is a five star hotel with 465 rooms situated on Avenida Diagonal. A photo is above. Other recent additions to ‘The Unbound Collection’ include Nish Palas in Istanbul and Hôtel Martinez in Cannes. Other European hotels coming soon include Great Scotland Yard Hotel in London, Párisi Udvar Hotel in Budapest and Hôtel du Louvre in Paris. Hyatt already has some exceptional European properties – Park Hyatt Milan, Park Hyatt Hamburg, Park Hyatt Paris Vendome, Grand Hyatt Berlin etc – and if it carries on at this rate, Hyatt will become a real force in luxury hotels in Europe. You can find out more about ‘The Unbound Collection’ here. You can only book return flights on ANA using Virgin Flying Club miles. When using Virgin Flying Club miles you can only book return flights on ANA. OT: I was checking AerClub for a business class redemption and can find pretty much no availability at all for 2019. Surely there must be at least one seat(!) Any suggestions as to what I might be doing wrong? Seems to be limited to one seat initially … I agree they are not super-generous though. No other first class from Inverness to NYC at £900 pp each way. Then the good folk at BA delayed the last LHR – INV leg by 24 hours. Thus, I’m now going from Leeds (half an hour from home) rather than Inverness at no extra charge. Handy. OT did anyone else still have issues with the 11k bonus spend on spg not being multiplied by 3 and sent over to Marriott? Had to raise another formal complaint on behalf of my wife. They lied and said it would be sorted last month which it wasn’t. Still haven’t manually added the points to the account which would guarantee it going and instead claim IT are working to fix it. Amex customer service been fairly woeful over this. Same boat as well – waiting to see if resolved in next week or so and then will write a formal complaint to Amex and see what comes of that. Eventually got the extra 20k added this week after about 5 calls over 3 weeks. They said it was a gesture of goodwill as I was only due 10k (which is rubbish of course). I think it helped that about 3 weeks ago an agent said the 20k would be on my account within a week. It seems like back office then rejected this. I was able to point them to this call that they were able to listen back to and all agreed it was very clear that they said I was due 20k more. Another reminder that tax voidance often has a cost, sometimes more than the tax avoided. Inverness is well worth a visit, although probably not immediately before and after a long haul holiday. You arent avioding tax. There is no tax to be avioded. That is by design not accident. You are right on Inverness being well worth a visit though. Pretty much all of Scotland is stunning. Some great places on our doorstep that don’t require years of points collecting to get to. You are avoiding the tax that you would pay at every other airport in the country. There is no departure tax at INV. You can’t avoid something which doesn’t exist. Mr(s) E – I totally concur, we manage a week in Scotland every other year and always leave feeling we’ve hardly scratched the surface. A road trip around the Highlands is on my retirement “to do” list, as is a visit to Orkney, the archaeology for me and the diving at Scapa Flow for Mr Anna. I had to go to Orkney for work reasons a couple of times and of course built in a couple of extra days and looking around the archaeology. Really interesting, esp the 800 year old graffiti in one of the big burial chambers/ chambered cairns the Vikings robbed out (Maeshowe). And Skara Brae of course. I spent many summers up on the far north-west coast in Sutherland (my parents had a cottage there when I was a kid then moved there when I was at university) and it’s a grand part of the world, well worth a decent touring holiday. That’s like saying that an ISA does not avoid tax. Sorry Mark2 – it’s not avoiding tax. No it’s like saying not spending your entire paycheck is avoiding VAT. This is why we decided to buy a caravan for our early retirement. We have seen more of Scotland these past two years than we have our whole lives and we are thoroughly enjoying it. Helps if you get good weather though which we did this year. Still lots to explore up the top end and north west. We also took out memberships for the National Trust for Scotland and Historic Scotland which also gives you access to places in the rest of the UK. Already saved more than double the membership fees from places we have visited – including free entry to Melbourne Gaol! No longer using UK hotels as we take our home from home with us! Still love our USA road trips though – 29 of 50 states visited so far and counting…. Not just Scotland, all of UK really. We decided last year to spend most of our free time exploring parts of home we had never been before and we are loving it. South and central Wales along with Northumberland last year. Yorkshire, Shropshire and North Wales this year. Devon, Cornwall and Sommerset next year. People everywhere have been really friendly and welcoming too. Better climate, culture, food, drink. Sticking to the UK just saves money, not a bad thing. Europe’s awesome but for now I want get at least a flavour of every Shire in UK. Getting there, only your area, Hampshire, Nottinghamshire, parts of East Anglia, all of Northern Ireland and many islands still to do. BJ you don’t want to put it about so much. Think about what matters. In this instance, it is absolutely not tax avoidance as the government has clearly designated that Inverness should not charge APD. Tax sparing yes. But avoidance, no. You’ve physically got to get to Inverness to benefit from the tax sparing. An ISA? Arguably a tax subsidy, but avoidance, no. You need to be putting away the full amount of the ISA to benefit – and if you’re not, others are gaining from the subsidy and you’re not. But is still not avoidance. However, it is possible to avoid something which does not exist. And a whole section of cross-national tax avoidance practices thrives on this very point. Tax Avoidance means arranging your affairs within the law to minimise the amount of tax that you pay. This includes using state sponsored tax-free savings scheme like ISA and the lack of APD at Inverness or flying to another European airport to start a long haul flight. Also using a small trader who is not VAT registered, although this only works if most of the bill is labour. Tax Avoidance is perfectly legitimate although the left leaning media try to persuade us otherwise. They usually only mention large multi-national companies and ignore the avoidance by most citizens. Tax Evasion, however, is not and is illegal. This includes a tradesman whom you pay in cash not accounting for the tax, which is probably the biggest source of tax evasion. This is silly. No need to name it tax avoidance. You all simply accept that there’s no APD on international flights that start from INV. The first time I flew up to INV I imagined there would be no APD on the return leg but no, if you fly LHR-INV-LHR you pay 2 lots of APD, if you fly INV-LHR-INV you pay no APD at all. That’s how it is. That can’t be right, APD is a departure tax. But you know that’s not correct, otherwise ex-EU LH via LHR would not exist as a saving. The connection had to be less than 24 hours otherwise APD is payable on departure. I was charged APD on the LHR-INV leg (£26 as in Club Europe). No APD on return flights. Which is how it should be. Even with the improved retiming of flights is INV still only viable if flying HBO? Is B2B possible? Would be viable if you built in a Scottish break & enjoyed it. With the B2B there simply isn’t time to collect checked bags and then check-it in again due to the 45 minute cut off – some of the turnarounds are very rapid with not much time to do more than get off the plane walk back to security and get cleared before reboarding. OT – used one of our Wilko offers today and immediately got the confirmation email. There is still no sign of my 500 bonus avios (x 2) from 3 weeks ago, even though OH got his within 5 days. I know it’s technically within 90 days bla bla but I honestly think they are not going to appear unless I chase it up. I’m closing one of the BAPPs next week so will mention it as one of the reasons and see what the response is! They only appear in your Avios count. No other notification. I phoned Amex yesterday and complained about not getting the points – she wouldn’t budge so we have to wait for 4.5 mths for them to appear. It’s 90 days after 30/11 – they probably won’t post then and will have to chase up again! Too many glitches in their system with these offers. I also did 4 Healthspan orders last night – got 2 emails on Plat card and no emails on SPG cards. That’s another two I’ll have to wait for – 90 days from end of Jan I think! Crazy! Doesn’t bode well for Small Shop! I phoned about another issue and they put the 500 there and then because I mentioned it. 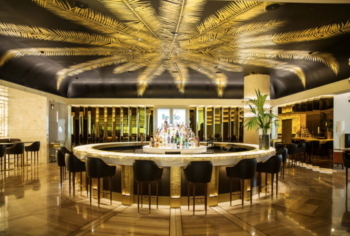 OT – Would a Gold supplement from a Platinum still get the Gold holder 2 free lounge passes? I have referred OH for the free Platinum. I was thinking of referring my 25 yr old for a complimentary Gold. I presume she should get the 2 free lounge passes that comes with the Gold? Pretty certain that the answer is a clear no. Only the main Gold cardholder gets the 2 free Lounge passes. So just refer your 25YO for a Gold card in her own right? 18000 MR points for you, she gets her own bonus + 2 Lounge passes. They’re not that bothered about income. And can’t check income. No you get no additional benefits . I applied for additional “gold card” and “green card” plat supps. I hardly get any offers on them aswell. The only plus side is using the cards for shop small. That is apparently how you get a family of four into a lounge. No. You get a family of four in because the Platinum supplementary gets a Priority Pass with a guest, so each adult guests in a child. The Gold supp cards on a Plat are NOT Preferred Rewards Gold and so don’t have those benefits. How do people go about booking partner redemptions with Virgin? I called through this evening to try and book onto the new Vienna to Tokyo service, but after an hour on the phone, they couldn’t find any availability at all for that route (only some routes with a stop off at Shanghai) for dates in late March or September 2019. Is there any way to search availability online, rather than having to speak to someone on the phone? booking Virgin Atlantic partner awards is an infuriating experience, and I think Rob slightly oversimplified this one! Like you I spent time on the phone to Flying Club on Saturday to book VIE-HND for March 2019, with no luck whatsoever. Perhaps already posted but I see Lloyds Avios now posting to BAEC rather than Avios.com. Simply download the app, link your Emirates Skywards account and complete your Cabforce profile. You will then earn 1 Mile per USD 2 spent. It’s quick and easy to book via the Emirates Skywards Cabforce app.